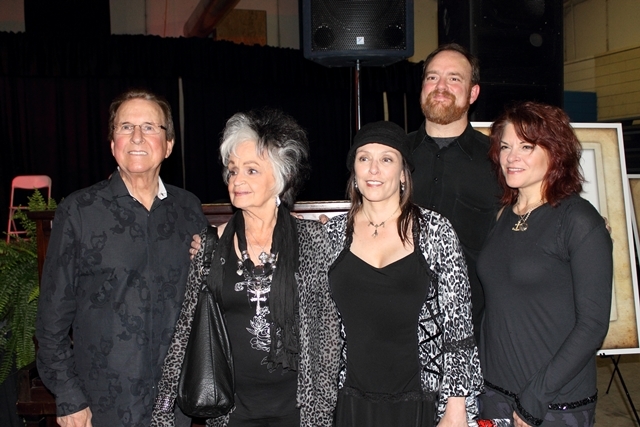 In this news article Nan Snider describes the gathering of hundreds of fans, friends and family members of the late Johnny Cash who came together in his hometown of Dyess on Sunday, February 26, to pay tribute to him on what would have been his 80th birthday. The birthday tribute also launched a national fund-raising campaign for the Dyess project, with events held around the United States. For the full article, click here. This KUAR report, which includes audio and a printed transcript, covers the 80th Birthday Tribute to Johnny Cash in Dyess, including remarks from various family members. The story also provides a look at the beginning of efforts to restore the Johnny Cash Boyhood Home. Family members unveiled the cornerstone for the project (one of the original concrete piers) inscribed with “Established 1935; Re-Established 2012.” Click here to listen to the story.